A skilled and talented guard, Carton was exceptional at times this spring as he powered a very talented Quad City Elite 16U team to a stellar 7-1 mark through the first two session. Carton has instincts, size, feel, the ability to score at multiple levels, and he brings solid leadership to the hardwood. 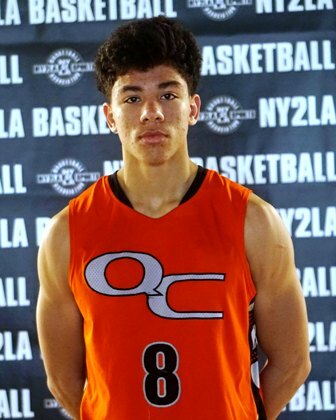 A potential high major caliber guard with a nice ceiling, Carton was impressive this spring. A skilled wing who can finish at each level, Domask plays efficiently and makes it look easy on occasion. He attacks the glass, scores in transition, can come off screens and knock down the jumper, and he has shown an improved ability to put the ball on the floor and score through traffic. He uses both hands well offensively, he makes good decisions, and overall he does whatever is asked of him at an efficiently productive level. 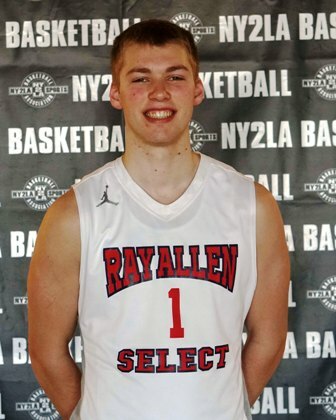 Already holding a number of Division 1 offers, Domask continues to quietly evolve into a strong prospect with multiple schools on his recruiting trail. Another below the radar talent who excelled at times this spring, Mims was among the league leaders in Floor Impact (26 FIPG) based off quality floor production to the tune of 16 points, 4 plus rebounds, 1 steal, and a league leading 5 assists per contests. He made solid decisions throughout the spring and found ways to contribute scoring, defending, and creating consistently. Another extremely talented young guard who holds Division 1 offers already, Moore is a potential high major caliber talent who can take over the game on occasion with his scoring and playmaking. He finishes at each level, he can defend, he can blow by you off the bounce, and he’s continued to develop his decision making and ability to create. Physically he passes the look test on the hardwood and skill wise he’s much of the same. An impressive high caliber guard who’s just scratching the surface of his potential. A powerful young bull in the paint, Schuemer just produces whenever he’s on the hardwood. A blue collar talent who was among the league leaders in overall Floor Impact (23.88 FIPG), Schuemer averaged close to 16 points a game while finishing at a near 62 percent clip. Add 6 rebounds a contest and contributions in other area and it’s easy to see why his team wrapped the spring with a stellar 8-1 mark. He competes, he plays hard, and he produces game in and game out. A strong spring effort for the 2018 big man.